I love how a picture of my child's silhouette can draw my attention to little details that are often not as noticeable in other kinds of pictures. Silhouette pictures are surprisingly easy to take with an iPhone once you know how. 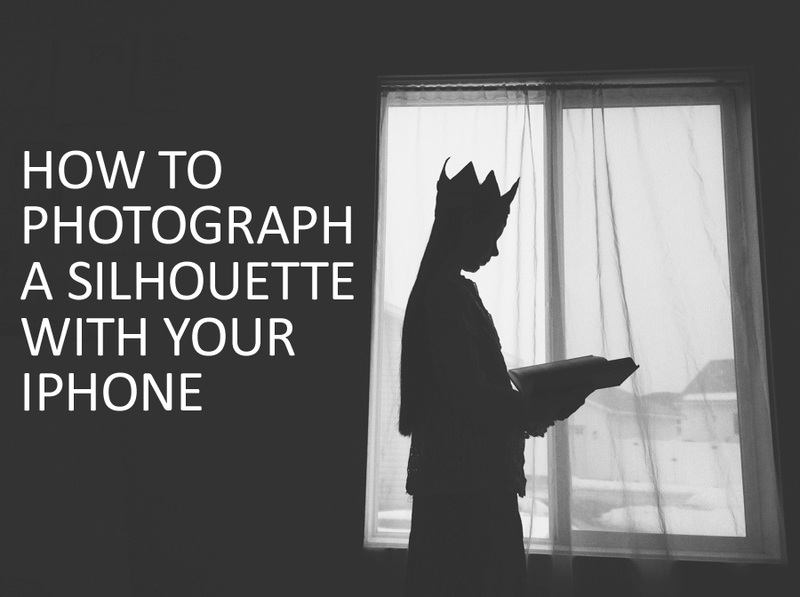 Just follow these five easy steps, and you'll be a silhouette pro in no time! 1. Have your child stand in front of a bright background. I look for a window, the sky, water, or any other source of bright light. Silhouettes can sometimes even work in the evening as long as there is enough difference in light between the subject and the background. 2. Open Camera+ or a similar app on your phone so you can separate the focus and exposure points by tapping on the screen with both fingers. Move the focus point over your child, and the exposure point over a bright spot on the background. You should see the shape of your child become black against the bright background. If the silhouette isn't popping like you want it to, move the exposure point over a brighter area. 3. Depending on the background you are photographing against, you may need to change your angle to see a more clear silhouette. 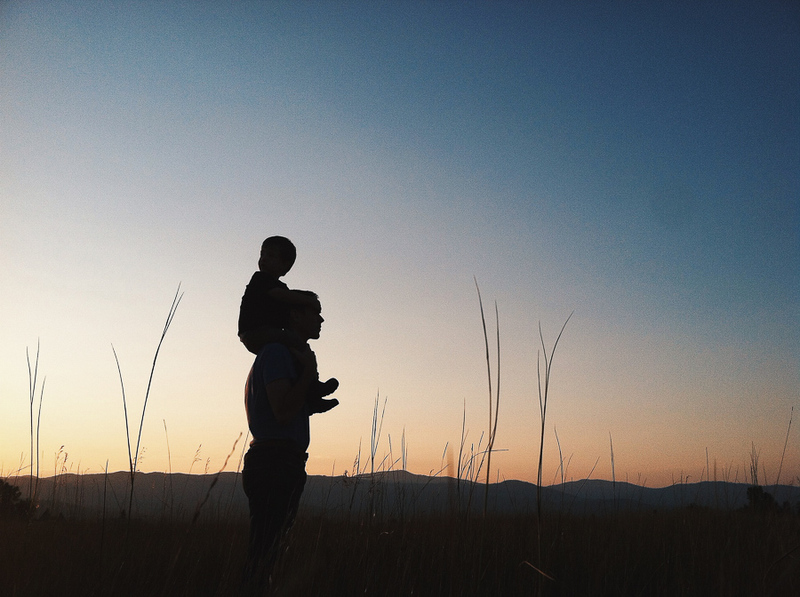 If the sky is your background, try getting down lower and pointing your camera up toward your child. 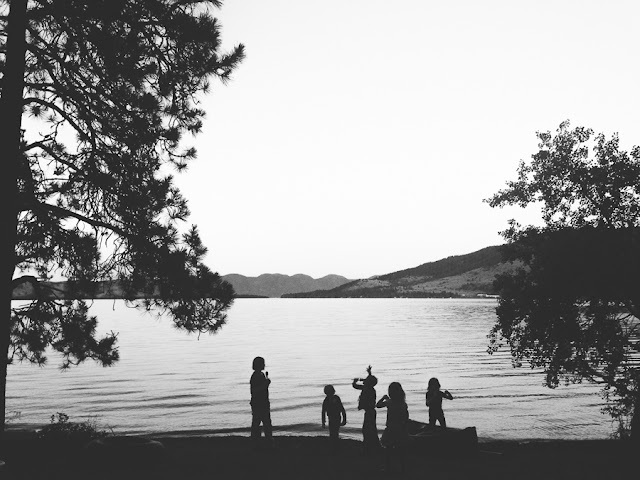 If your background is a large body of water, try getting up higher and pointing your camera down toward your child. No matter what your background is, move around until you can see the shape of your child clearly against the background. 4. 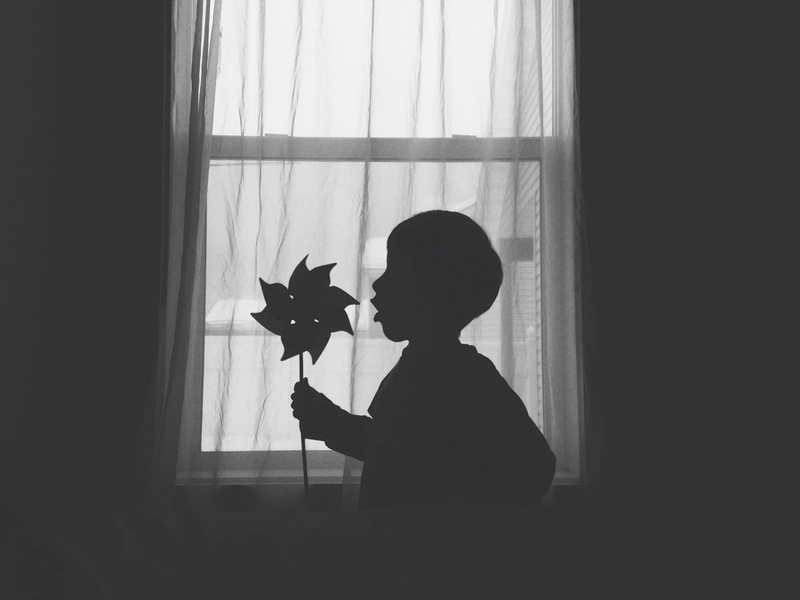 As your child moves around, watch the movement of his or her silhouette for interesting changes and shapes to capture. There are so many details you can discover this way, so be sure to take several pictures and explore each moment as it unfolds in front of you. 5. Export your favorite images to your camera roll from the camera+ app. 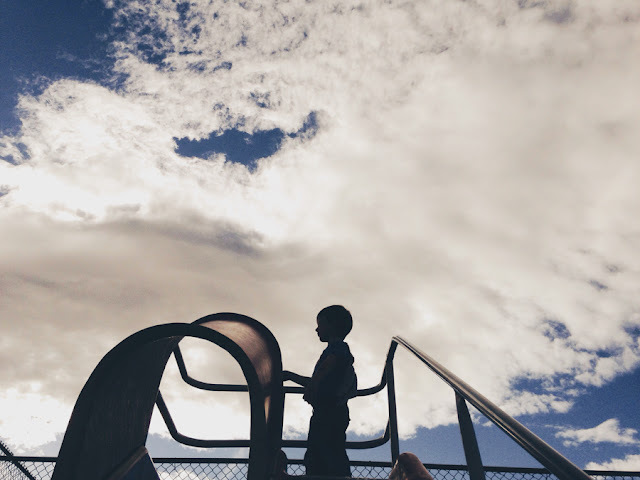 I like to add contrast to my images by using a filter in VSCO Cam or Afterlight. Adding contrast makes the bright brighter and the dark darker. I don't worry about silhouettes being perfectly black, but I do like them dark enough to pop out from the background. Most of all, enjoy watching and playing with your child as you photograph them!